The worst time to experience plumbing emergencies is during the holiday weekend. House full of guest, kitchen full of food and what happens, the kitchen sink is backed up or the toilet is clogged. 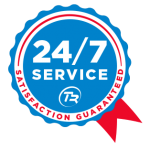 This time of year is typically busier and stressful on people and trust us you do not need the added stress of dealing with a plumbing emergency. Here is couple of things that every household can practice in order to avoid getting into an emergency situation with plumbing. Avoid using the garbage disposal, one way is to have a bowl by the sink that you empty all the food scraps into and throw it in the trash. Foods such as rice, celery, herbs, and grease should not pour thru the garbage disposal as they cause the most build up. Avoid using the same bathroom over and over. Keep both bathrooms open in your house and direct your guests by alternating between the bathrooms. Be proactive – Have you drains hydro jetted by a licensed plumber /rooter to get rid of soot, food and oil. If using a plunger does not solve your problem than avoid using over-the-counter drain products. Not only are the chemicals toxic to human skin, they can damage drain pipes if overused. If you are experience slow drainage now, the holidays will add stress to that clogged drain even more so. Best thing you can do is to give us a call before acquiring any of these problems. Team Rooter is offering a Mini Hydro Jetting Service during this holiday season to help you avoid these types of clogging issues. 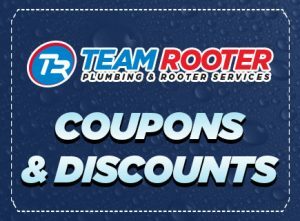 Take advantage of our $199 Holiday Special (Normally $295) Take advantage of this great service to help unclog your drains and spend the holidays worry free. Give us a call or book an appointment online.